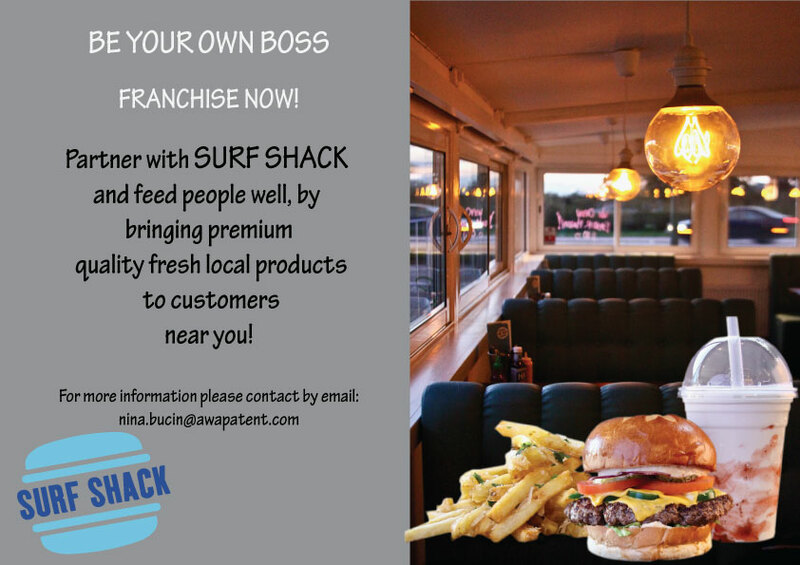 Surf Shack offers a unique product. Our beef comes from a local farmer and ground fresh daily, free of additives and antibiotics. Our fries are homemade, not frozen they too come from a local farmer. The burgers are served with an Artisan bread that is baked and delivered daily from a master baker; ‘& Bread’. Our milkshakes are whipped up fresh in front of your eyes in the old American diner way. All of these fresh local products are being offered at an affordable price. Now we feel it is important for you to have the freedom to build your burger just the way you want it. Giving you the opportunity to choose your favourite toppings. The taste is simply yours of the choosing. Vegetarian and glutenfree alternatives are available.